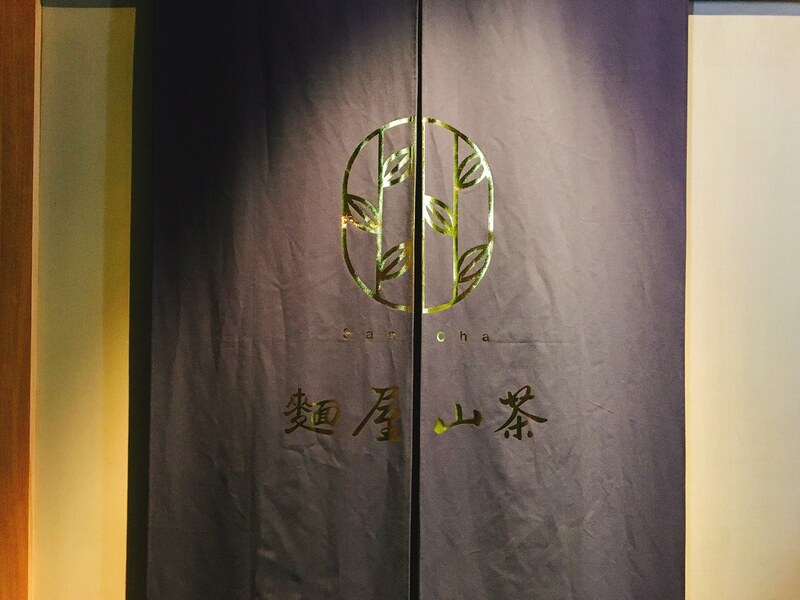 新開幕的麵屋山茶日本拉麵店 ( Sancha )位於台北大稻埕迪化街附近, 招牌拉麵為花香雞湯拉麵和大吟釀味噌雞湯拉麵. 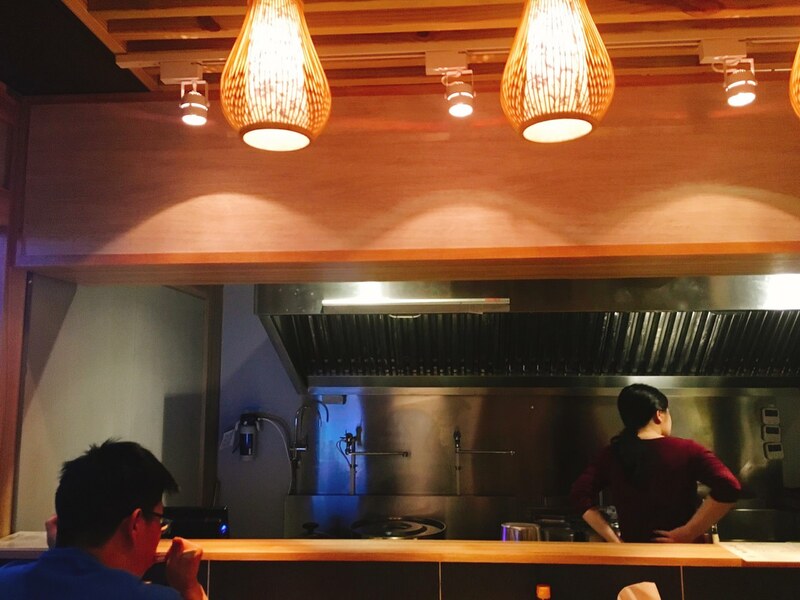 Newly-opened Sancha Japanese Ramen restaurant is located near Taipei Dadaocheng area. 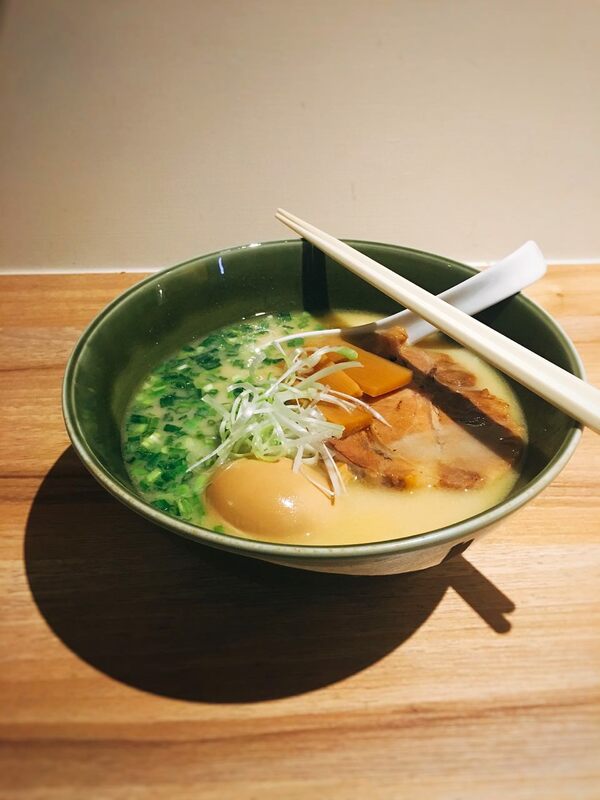 Its signature dish would be floral aroma chicken broth ramen and miso chicken broth ramen. 麵屋山茶拉麵店的所在位置相當奇妙, 位於“小城外酒吧“的一樓, 離 “米凱樂酒吧”只需 15 ~ 20 分鐘走路時間, 相當適合吃完拉麵去小酌, 兩位女老闆提到開店概念是類似深夜食堂, 但是並沒有要像 “溫柔鄉”如此晚開. 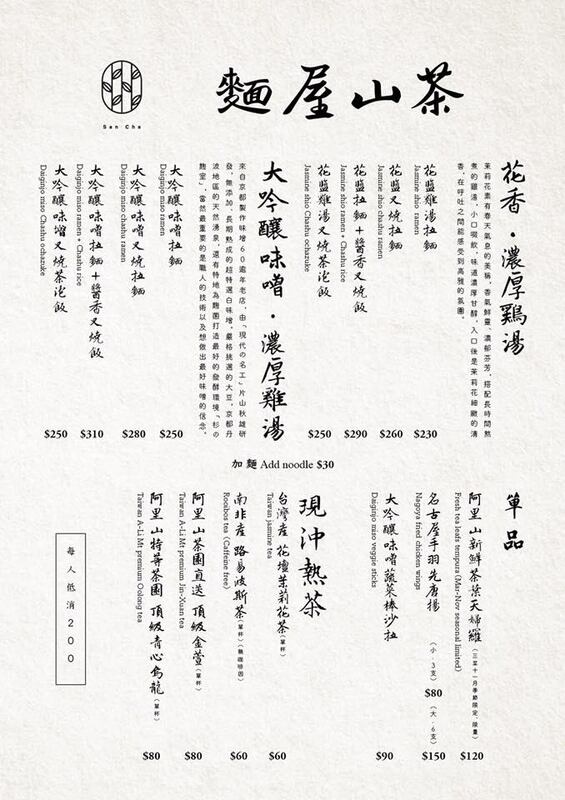 轉進巷口內, 即可看到藍色布簾, 吧台位置只有三個, 在走道的高腳椅座位約五個, 中庭位置則是有兩桌兩人座. 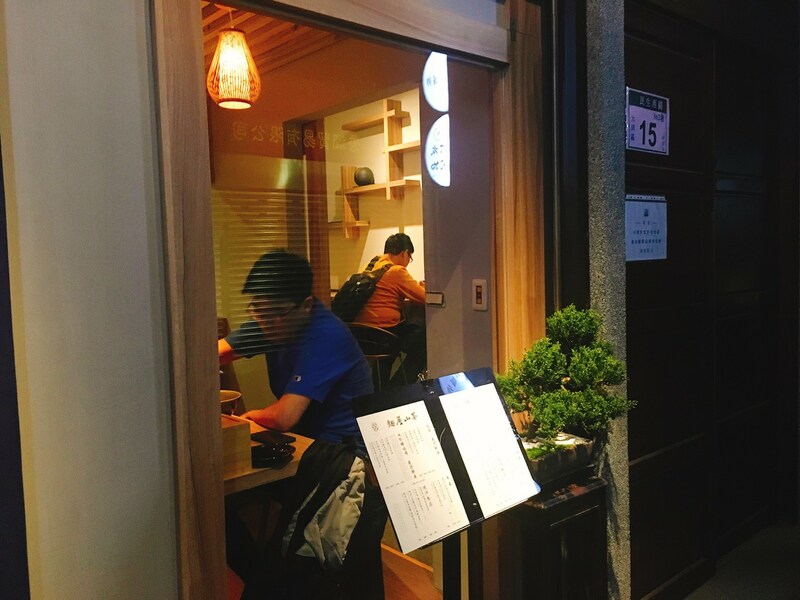 Sancha Japanese Ramen restaurant is located at the first floor of “Bar City North”. It only takes 15 ~ 20 minutes walk from “Mikkeller Bar Taipei”. 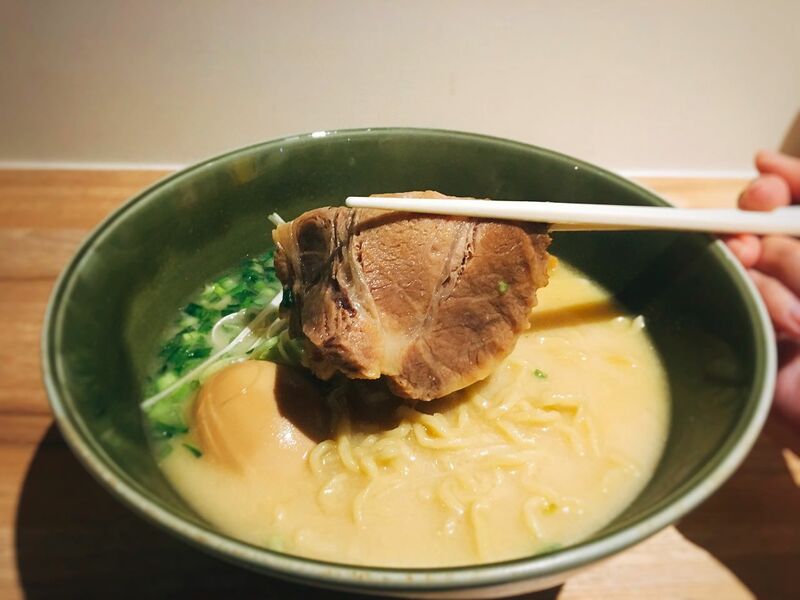 It would be a great idea to eat ramen first and drink later. Two female bosses mentioned that their ideal restaurant concept is late night dining. However, it won’t be as late as “The tender land”. Turning into the alley, you would see the navy blue curtain. 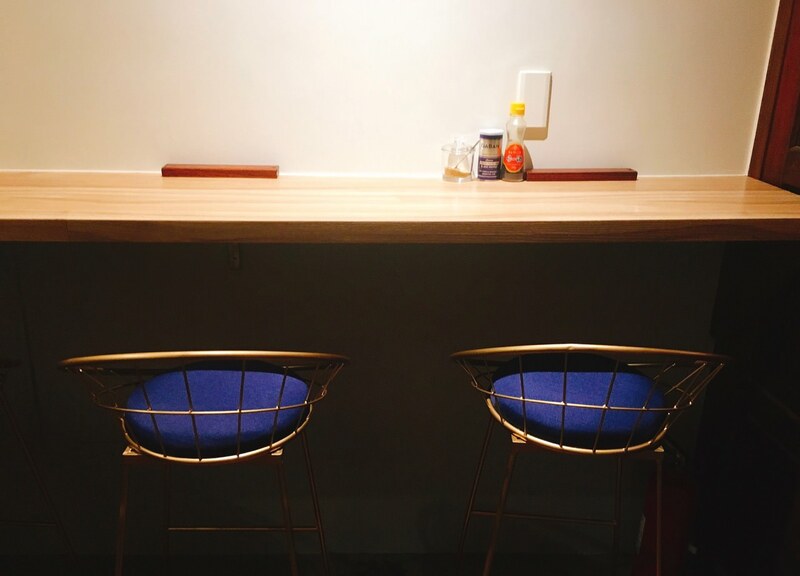 There are only three seats at the counter, 5 high chairs at the path, and two tables at the yard. 雖然名稱裡有大吟釀這個字, 但並不是像花雕雞麵一樣有加酒, 而是京都白味噌裡有米麴增加風味. 店家使用的碗類似 “麵屋武藏”的深底碗, 湯裡的味噌風味多過於雞湯風味, 整體湯頭並沒有想像中地濃郁, 相當順口不油膩. 中捲麵偏硬, 是拉麵饕客愛的硬度, 叉燒部分並不是五花肉, 瘦肉嫩度正常, 半熟蛋配置是最值得一提, 因為跟 “麵屋牛一”有稍微調味, 迷人蛋黃膏在咬下時流出. 我會建議點拉麵時告知店家不要加蔥花, 因為會搶走味噌香氣. 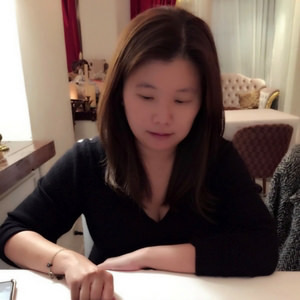 我下次應該會去試花香雞湯拉麵, 聽說真的有花的香氣. Even though the dish name has “daijinjo”, but there is no aroma of alcohol. It is basically enhanced miso from Kyoto. The restaurant use deep bowl like “MENYA MUSASHI Ramen”. There are more miso flavor than chicken broth flavor. 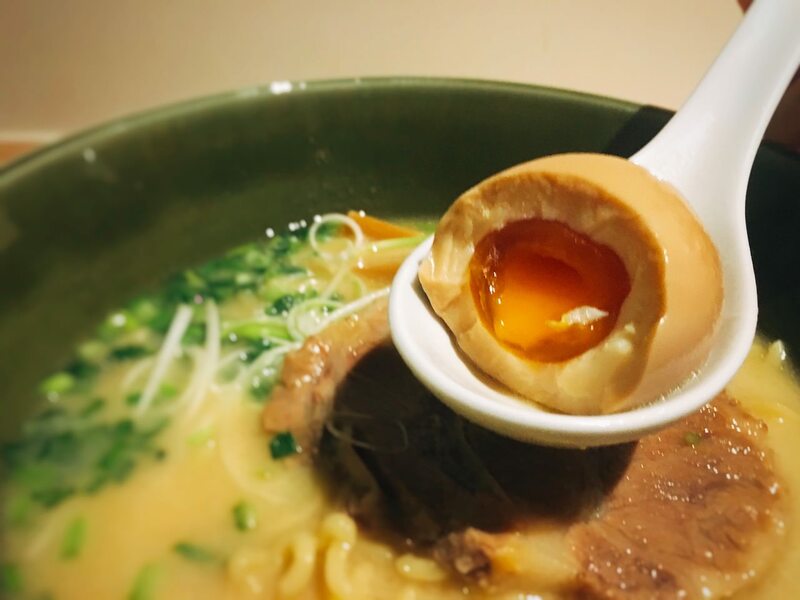 The broth is not thick as expected. 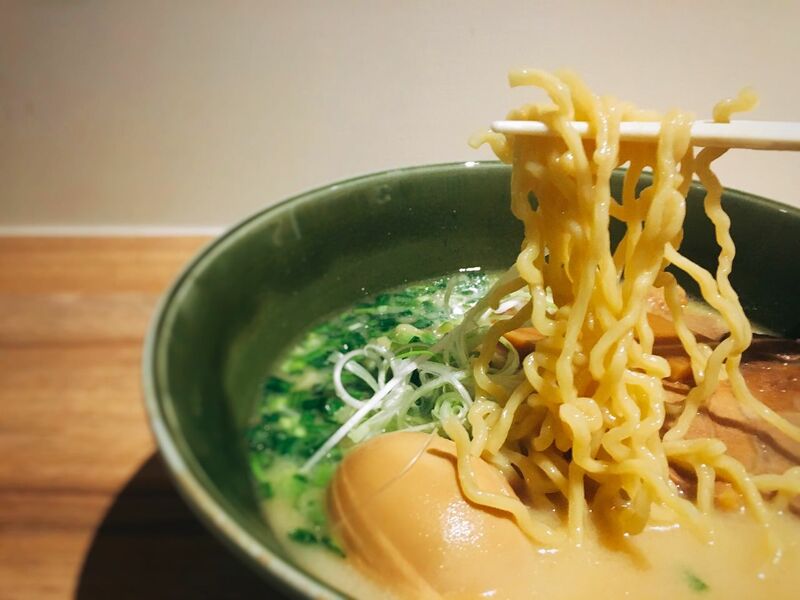 The noodle texture is a bit hard, which ramen foodie will love. The pork doesn’t have much fat, and its texture is still tender. 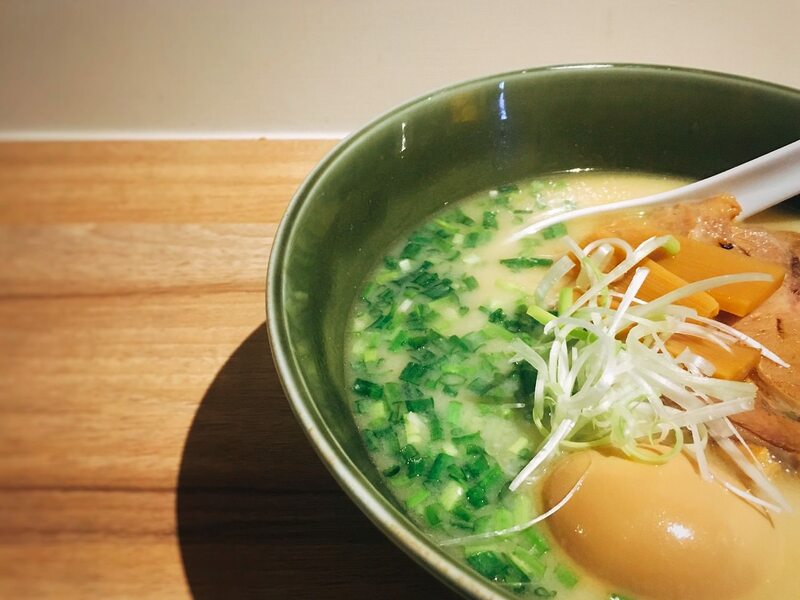 The half-boiled egg is braised, just like “Chicken Broth Beef Ramen House”. Its creamy egg yolk is delicious! I would suggest to tell the restaurant not to add green onion since it might cover miso flavor. Next time, I might try the flower aroma ramen.